The stereotypes are holding true. 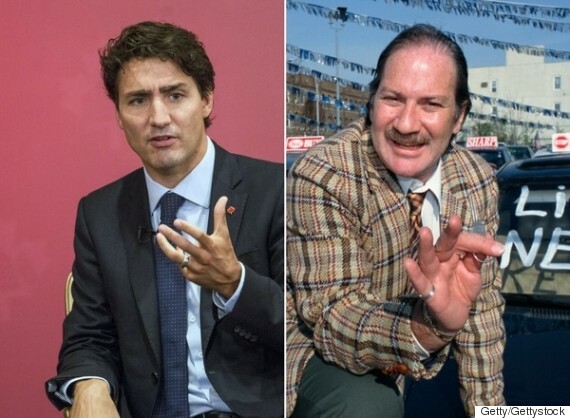 It appears the stereotype of the slick politician and greasy car salesman are holding true in the minds of Canadians. 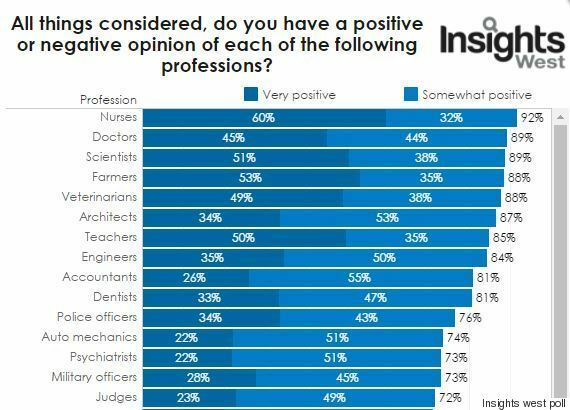 In a new poll from Insights West, Canucks were asked to share how much they respect certain professions. Politicians ranked the very lowest, with only six per cent of survey respondents ranking them as "very positive" and 18 per cent viewing them as "somewhat positive." Car salespeople came in as the second-lowest ranked profession, with only 28 per cent viewing them in a somewhat-to-very favourable light. Unsurprisingly, and for the second year in a row, nurses were voted as the most respected professionals in the country, with a 96 per cent positive rating overall. More than four-in-five Canadians also outlined positive views on doctors, scientists, farmers and veterinarians, and more than two-thirds of Canadians said they hold police officers, auto mechanics, psychiatrists and judges in high regard. Across the board, men appeared to more skeptical of all professions, consistently ranking each profession less positively than female respondents. Perhaps the most telling of the numbers, however, are the regional variances. Results are based on an online study conducted from May 26 to June 2 among a representative sample of 1,257 Canadian adults. The margin of error is +/- 2.8 percentage points.